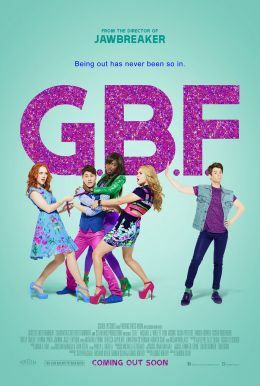 In 'G.B.F.,' social warfare erupts when three high school clique queens battle for supremacy:: drama diva Caprice (Xosha Roquemore), Mormon princess 'Shley (Andrea Bowen) and blonde fashionista Fawcett (Sasha Pieterse). When unassuming Tanner (Michael J. Willet) is outted, he finds himself cast as the hottest new teen-girl accessory: The Gay Best Friend. The clique queens immediately pounce and makeover Tanner into their ideal arm candy, forcing him to choose between popularity and the true friends - including his own B.F.F. Brent (Paul Iacono) - that he's leaving behind.